One of the cultures in my science fiction novelette The Stone Lyre (half of Wisps of Spider Silk, First Thread) has a custom to ensure that a man — especially an influential one — has a direct biological male successor. The culture is nominally monogamous; but if the wife cannot supply the requisite male offspring, the husband takes a “favored”, invariably from a less powerful family, to provide the missing asset. When she delivers, she is returned to her family with gifts commensurate to her contribution. If the “favored” produces a child with the wrong equipment, the husband takes another, then another – as many as necessary until the requirement is fulfilled. The unwanted girls are either exposed or given to the household servants, stock for the next service generation. The culture knows enough biology to be aware that men supply the Y-chromosome to zygotes, and their technology is sufficiently advanced that they could tilt the odds with a simple differential enrichment of sperm by gentle centrifugation. But their mores forbid it. They could also adopt, but their laws require a son “of the father’s body”. So it’s the other way, no matter how much pain it causes. Last month while in Athens, I read a novel that takes place in the Mani, the stony peninsula that forms (appropriately enough) the middle “finger” of Peloponnisos. Its inhabitants, boasting direct descent from the Spartans, lived off meager agriculture, sheep herding, remittances from immigrant family members – plus piracy, condoned (in fact often blessed) by the local priests. Like the Scottish Highlands, most parts of Mani were never subjugated by any would-be conqueror – in part because of the fierceness of the Maniots, in part because of the terrain (until recently, many Maniot villages were accessible only by boat). The Maniots successfully repelled all invaders…and when there were none at hand, their men slaughtered each other by generational vendettas that could exterminate entire clans. 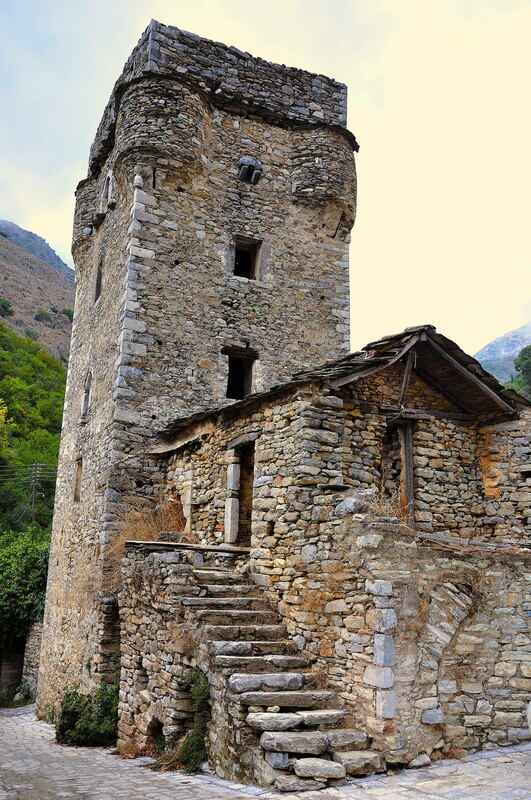 Powerful families lived in fortified towers and counted their strength and influence by how many guns they could muster. These guns could be used only by sons, the “real” children; daughters were called by various derogatory terms and their arrival was greeted with deafening silence and wishes for “better luck next time” (though variants of these habits were/are true of most patrilocal societies). As is often the case in such cultures, Maniot women had some clout and brothers couldn’t marry before they handed off their sisters. But the rigid patrilineality meant that daughters were explicitly barred from inheriting the family’s primary dwelling and associated land even if they had no brothers. The novel I read is a sentimental rose-tinted weepie (think of Mildred Pierce in 19th century rural Greece) titled The Sygria. The term is a contraction of syn-kyria, which means co-mistress. Apparently, any powerful Maniot who could not get at least one son (preferably more, so that some could be spared as vendetta fodder when they weren’t used as enforcers of the family’s interests) brought in a second bedfellow, invariably from a weaker family, often a tenant/client one, to fill the gap. After the two involved families reached agreement including gifts to the sygria’s relatives and good treatment guarantees, the young woman arrived at her new home without any public fanfare. She was cosseted during pregnancies and stayed as indoors help if she produced sons, but was turfed out to field work if she produced daughters. The sygria’s family accepted this arrangement because it meant an enhancement to their finances and status. The sygria herself led a gentler life than she would as the wife of a hard-scrabble peasant, who was liable to use her as a combination of beast of burden, house slave and incubator. The official wife kept her status (any power among the women was wielded by the husband’s mother in any case) and, occasionally, by choosing the sygria herself in the manner of samurai wives, gained not just an indentured servant but also a household ally. Any resulting sons were considered fully legitimate, counting their provenance solely from the father, and eventually inherited not only the tower and the family lands but also the official wife’s dowry. The official wife (buffered by the might of her birth family and the size of her dowry) acted as their godmother and de facto mother, and the church bent far enough to allow the sygria to take communion; the man, of course, was beyond reproach. The sygria’s unwanted girls were not acknowledged as the master’s offspring: they inherited the status of their mother, somewhere between stepchildren and servants; they were essentially unmarriageable, becoming unpaid lifelong helpmates like Victorian spinsters. Sources are silent on whether some conveniently disappeared via Spartan-style exposure if times were lean at the time of their birth. If the sygria remained childless, the fault was deemed to be entirely hers and there were no limits to the insults and abuses she could be pelted with – but the husband was not allowed to take more sygrias, which means that at this point everyone knew who was responsible for the lack of offspring, even if none would utter it. It was really hard for me to read The Sygria, even though the author had sugarcoated the interactions between the characters (everyone was considerate, loving, fair…you get the gist). And I wondered what atavistic memories made me reproduce the custom in The Stone Lyre, even though I had never heard of it when I wrote my story. It may be that when a society deems sons a compulsory asset while insisting on monogamy, the possible contortions are limited; what remains unlimited is the human capacity for hypocrisy, cruelty and waste. 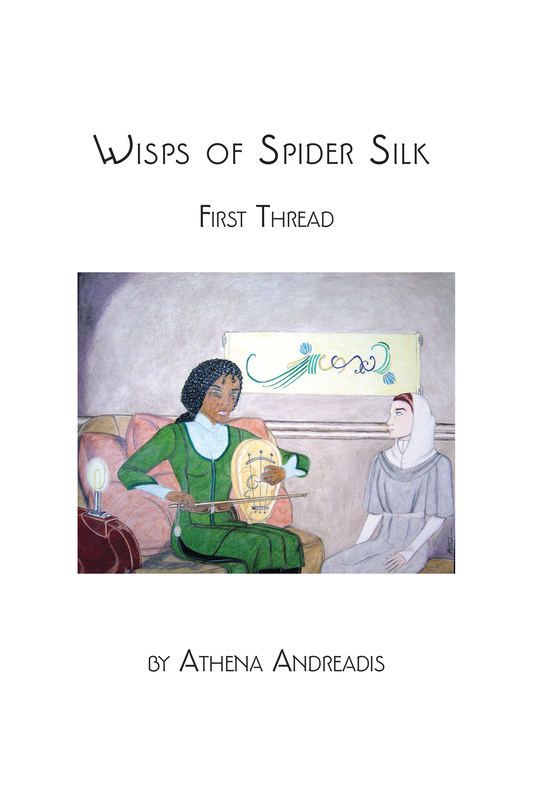 Images: Top, Wisps of Spider Silk, First Thread (contents: The Stone Lyre, The Wind Harp; artist: Heather D. Oliver); bottom, the Dhourakis pyrghos (tower) in Mani.